Huge Savings! Up to 13% off on Sets & Kits at Elastic Heart, Page 8. 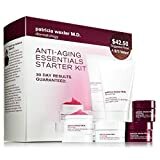 Top brands include Dr. Dennis Gross Skincare, iluminage, Lindi Skin, LANCOME PARIS, Labo Labo, The History of Whoo, Frank Body, ELEMIS, CHANEL, Dermalogica, Bath & Body Works, Alastin, Marykay, La Mer, Fresh, ZENMED, Su:m 37, & Cellcosmet. Hurry! Limited time offers. Offers valid only while supplies last. 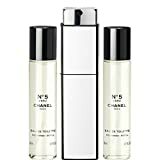 N°5 L'EAU EAU DE TOILETTE PURSE SPRAY 3 x 0.7 FL. OZ.